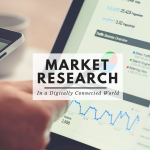 Many would say that anchoring your marketing strategies on current trends is risky. 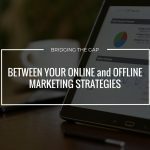 A lot of business owners prefer methods and strategies that are sturdy and can withstand whichever trend is in the industry. 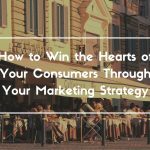 However, creating marketing strategies that actually follow what is popular or in season would help you hold a positive imagery for your brand. People would see it as a sign of flexibility and, consequently, reliability in that they would trust your brand to still be able to provide for them even when what is in season ceases to be. Holidays are a part of these trends, too. You have to be able to keep up with holidays and not just concentrate on the big ones like Christmas and New Year. Taking for instance, the Halloween celebrations; it may be a little taxing, especially for retail and F&B sectors because launching an entire marketing campaign around seasonal holidays could mean extra work. At ENCE Marketing Group, we craft experiences. We help brands speak. WE connect the dots for you so YOU don’t have to. Talk to us today and let us help you with your marketing needs through multi-channel approach in specific public relations, experiential events management, appealing design and memorable advertising, backed by our beliefs and framework for measuring marketing success. Having planned and executed successful marketing strategies for the past 10 years, we’ll share some ideas that you can adopt for starters … in this discussion we’ll use Halloween as a point of reference. Go with the classic: Trick or Treat! You know how there is really not enough places to have kids to do trick-or-treat activities? This is a challenge faced regardless of whichever part of the world you are are in. 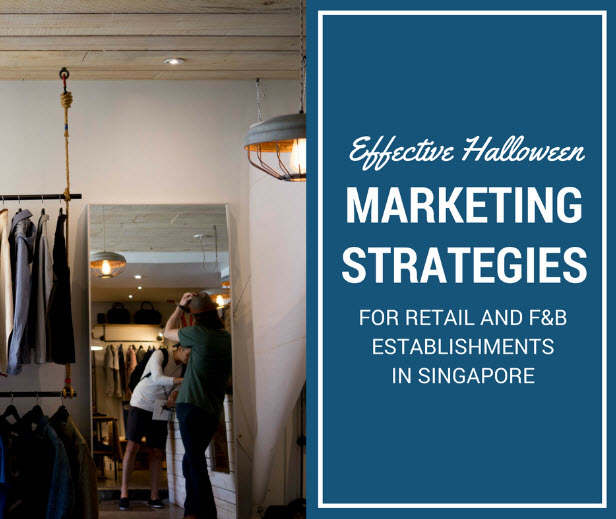 If you are a retail or an F&B brand that has stores in very conspicuous places like the mall, in weekend markets, or in a commercial complex, joining the trick-or-treat fad is really not a bad idea. For one, it is a wonderful way of opening up your stores to your current customers and to new ones too. This is especially applicable when you have a premium-looking store that scare budget-conscious buyers, you can encourage people to actually look around and see what you may have to offer them. Finally, participating in a highly commercialised activity such as this does good for your reputation in terms of how flexible you are as a brand—you can show how you range from elite offerings to getting on with the masses. When you decide to join in on the trick or treat festivities and it is not something you have done before, you might think that informing people that your business is starting to get involved might be a difficult. These days, you can easily announce the event online and put up creative and catchy posters on your stores. As long as you keep your doors open on trick-or-treat day and make your stores welcoming, you are sure to have kids entering your premises —while their parents shop and dine, of course! Host and make a contest out of a dress-up party under your brand! One other thing people do not miss out on Halloween is the dressing up. Costumes are a HUGE part of Halloween events. People always go out of their way to be the understated rock star or the gruesome monster. Using this very idea for your marketing event would definitely be a good idea. Hold a party, make it as public as possible. You can set up a costume party in a large pavilion and sell tickets for it. You will be surprised at what a success that could be. Halloween, after all, is for party hopping and finding out how impressive everyone’s costumes are! 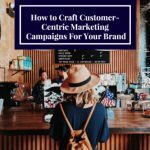 You can make the event brand-centric in that you sell tickets via your brand. For example, if you have a retail store that sells clothes, sell discounted tickets for every item purchased. If you own a restaurant, give free tickets to large groups who will dine in. Using your brand to market the tickets and then the Halloween hype to actually get people to join in is a good combination. It would help you sell and at the same time achieve brand awareness. Do something uncommon: Partner with media brands and set-up a drive-in theater for Halloween movies. Now this is not something most people do on Halloween. But scary movies are definitely another Halloween staple. You can mix it up with that drive-in theater people love to do on Valentine’s, open up a huge venue where people can park their cars leisurely and sit on it while watching the movie on a projected screen. Of course, you need to partner with media brands. You would need permission to play out films and the set-up of the projected screen. In one way, this would help your brand be more popular especially among the teens that are always looking out for more fun ways to celebrate Halloween. In another, more business-effective manner, you get media exposure for your brand. The media is a very strong ally; they can help your brand reach market segments that you would not normally encounter. Now that you’re armed with some ideas, time to put them to action! Be it Halloween trick or treating or a different festive celebration, getting involved in seasonal celebrations might just work wonders for your business. If you still can’t decide on what cards to play this Halloween, let ENCE Marketing Group help you with all your marketing strategy needs. 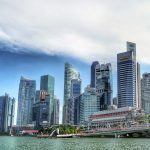 We are a marketing agency in Singapore that have a dedicated team who are well-versed in the art of marketing. Together, we can work with you to determine the best strategies to use and the goals you want to achieve for your company, for all seasons. All it takes is just a little patience, courage, and maybe a cup of coffee. Let’s grab a cup and chat today.